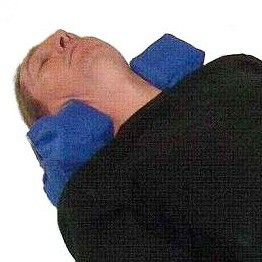 Gives greater lateral support than many neck pillows. The Hazel is effective when head support is needed in a wheelchair. Alternatively, it can be used in rebound therapy, during physiotherapy sessions or when gentle lateral support is required to maintain a mid-line position. Gives greater lateral support than many neck pillows. The Hazel is effective when head support is needed in a wheelchair. Alternatively, it can be used in rebound therapy, during physiotherapy sessions or when gentle lateral support is required to maintain a mid-line position.